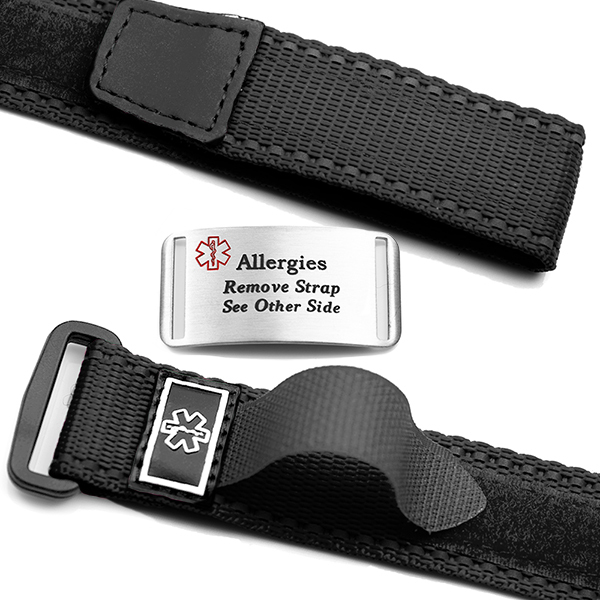 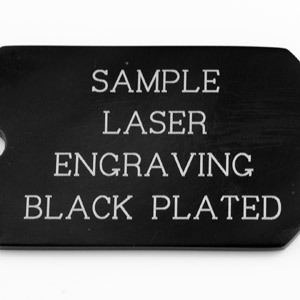 Pre-engraved with Allergies - See Other Side - on the front of the medical tag. 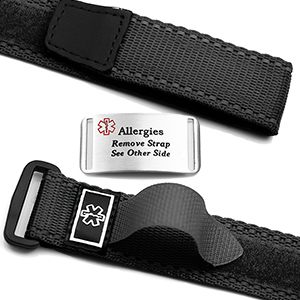 With a white medical symbol and reflective stitching, this sports bracelet will help keep you safe at night! 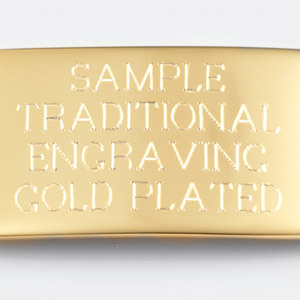 Though not waterproof, the bracelet is water and mildew resistant. 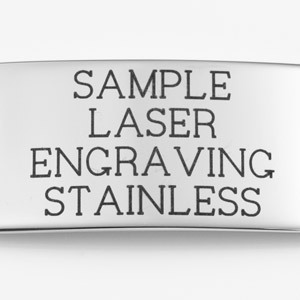 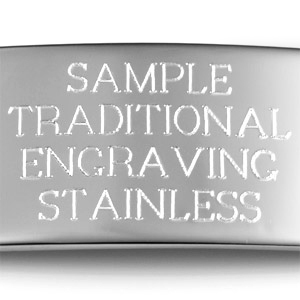 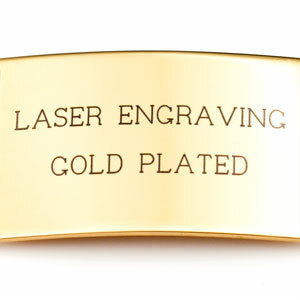 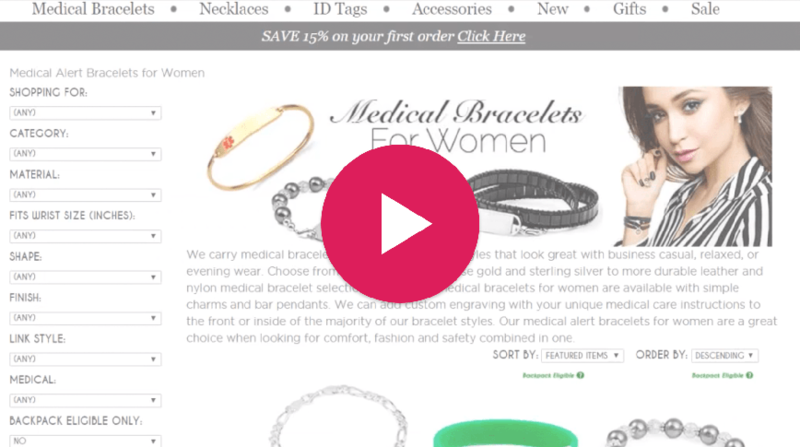 There's room to engrave your allergies and emergency contact information on the other side.